SFHA says Planning Bill could provide opportunity to solve housing crisis. 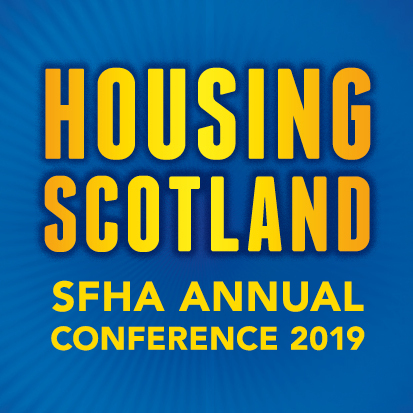 Commenting ahead of today's (Thursday 26 January) Scottish Government debate, Improving Scotland’s Planning: Improving Scotland’s Places, the Scottish Federation of Housing Associations (SFHA) said that the Planning Bill could provide the opportunity to solve the housing crisis and build better communities. The SFHA has welcomed the broad thrust of the proposals which aim to provide more homes and increase community participation in the planning system. The debate follows the launch on 10 January of Places, People and Planning: a Consultation on the Future of Planning in Scotland. “The SFHA welcomes the launch of the planning consultation, as we would like to see a system that increases housing supply and builds better communities. “We are pleased that the White Paper contains a strong focus on building more homes, commitment to an infrastructure first approach to development, and promotes zoned housing land, with simplified planning zones for identified areas where housing should be developed. “We also welcome the commitment to make a stronger link between planning and the development of sites granted permission, as too often areas zoned for development either remain undeveloped due to constraints, while housing associations experience sites passing between a number of owners and land value increases without any homes being built. Proposals to increase the period of Local Plans to 10 years are also good news as this will provide certainty for housing associations planning new homes for the medium to long-term. “However, there are several proposals that we think need more consideration and discussion. While increasing community involvement in planning is good news, proposals to make a closer link between community and local development plans will only work if all parts of the community participate in the process. The views of people who need homes in a community are as important as those of existing residents whose housing needs are met and this is especially important at a time when there is a real shortage of quality affordable homes.